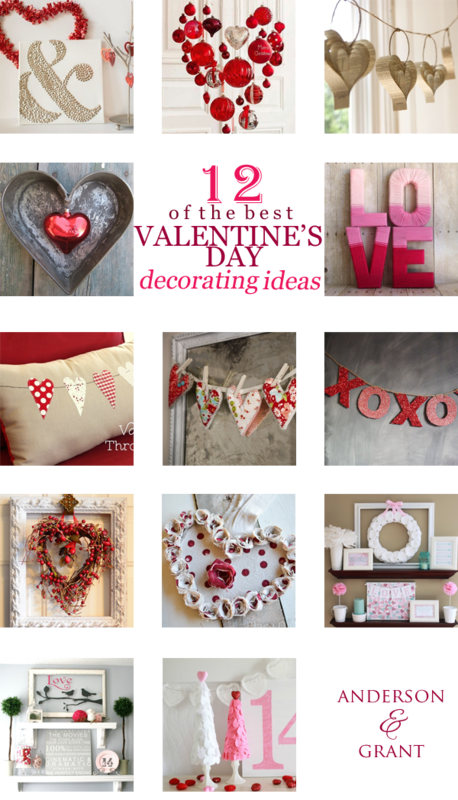 Have you decorated for Valentine's Day yet? For me, it is one of those holidays that boarders on being overly cutsey with the decorations we make and display. I like finding ideas that stick with my style by mixing a little elegant with a little vintage.....although there isn't anything wrong with adding a little pop of something cute, too! 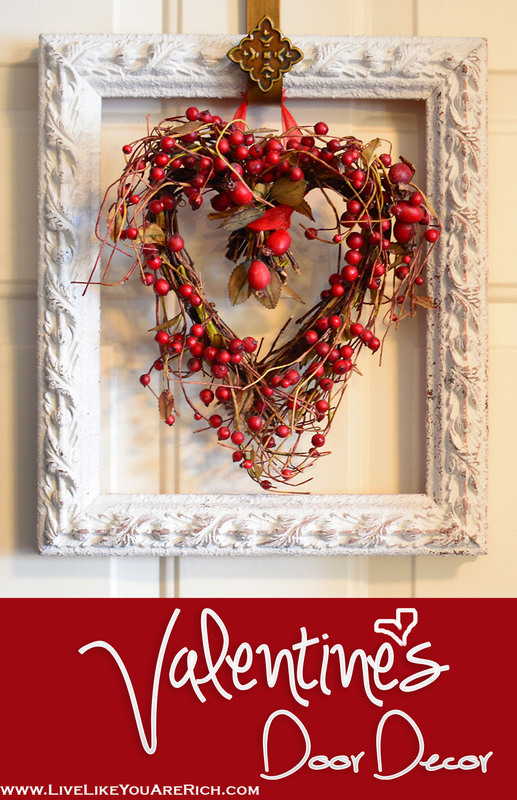 Here are a few of my favorite decorations and ideas I've found for Valentine's Day this year. 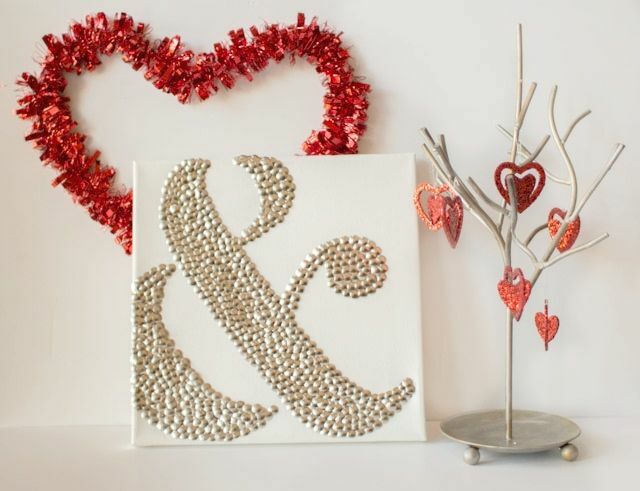 Angela from Life in Velvet created this amazing ampersand art using thumbtacks and a canvas. Isn't this idea so unique? I found this idea on 52 Flea. 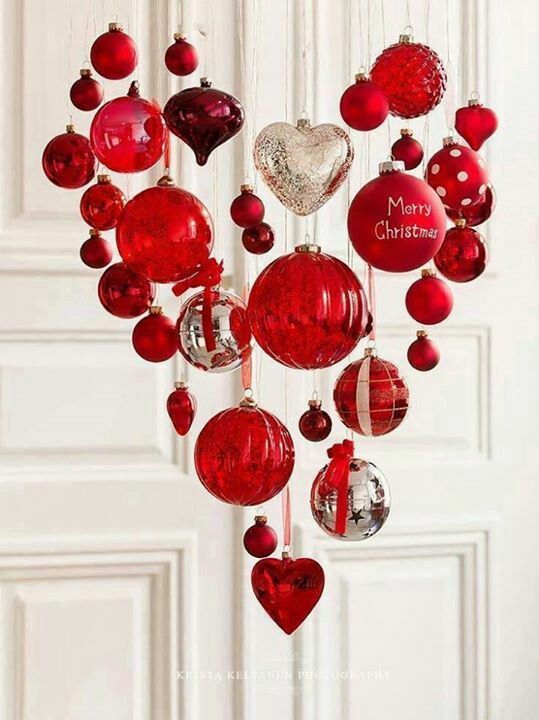 Now I am desperately searching for a vintage heart shaped pan and some heart ornaments! It is the right mix of old and new. 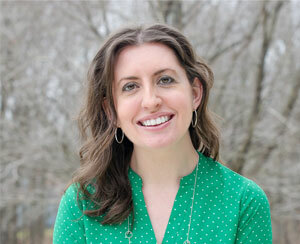 This photo is taken from Krista Keltanen Photography. It was posted at Christmas time, but I think that the idea is perfect for Valentine's Day. A collection of antique or new ornaments would be beautiful hanging in front of a big picture window.....it is something that would look great from all angles. 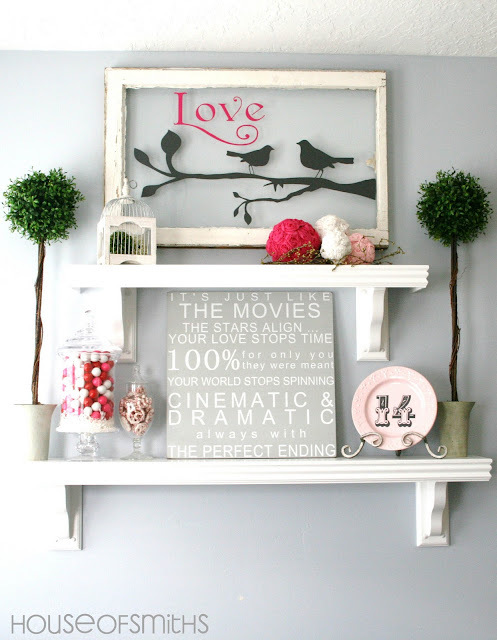 This heart wreath in a frame is from Live Like You are Rich. Anita took a couple of simple pieces and put them together for a fantastic, eye catching display on the door! I adore this great idea from My Sister's Suitcase. 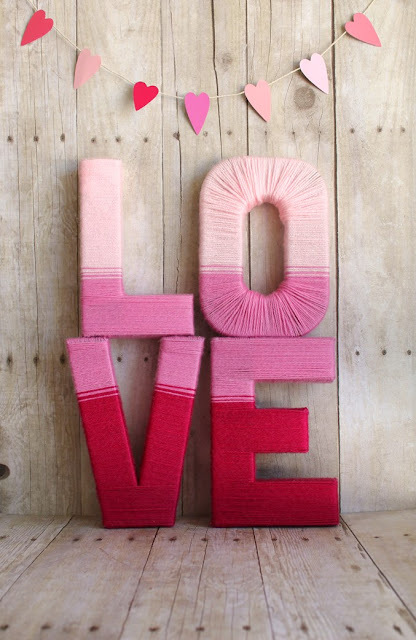 Holly used paper mache letters and yarn to create this great ombre LOVE sign. 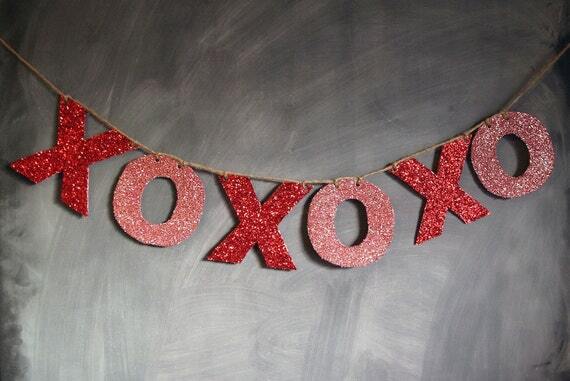 I am a big fan of glitter and this XOXO banner Confetti Design Shop on Etsy is perfect hanging somewhere for Valentine's day! I love that it is not the traditional bubble gum pink color that we normally see. I love the unique take on Valentine's Day over at Just A Girl and Her Blog. Instead of the traditional pink and red, Abby did pink and aqua and added a bunch of handmade touches. Doesn't it look fabulous? 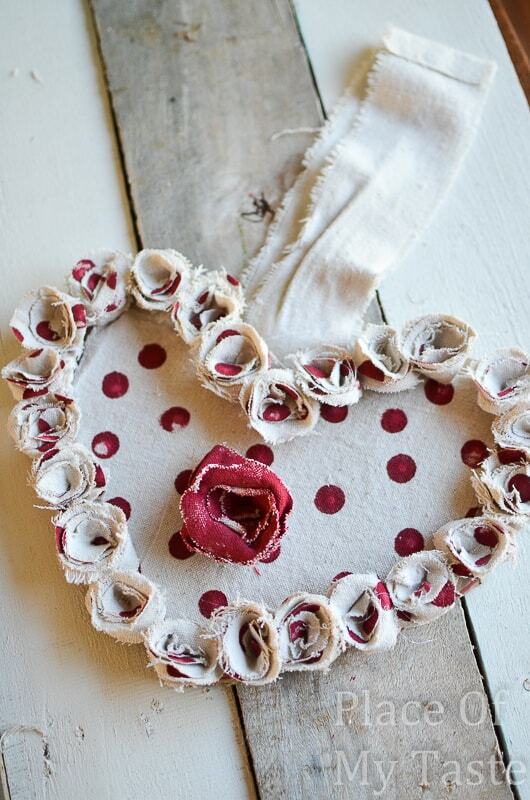 Aniko from Place of My Taste created this cute polka dot heart wreath by making rosettes out of drop cloth! 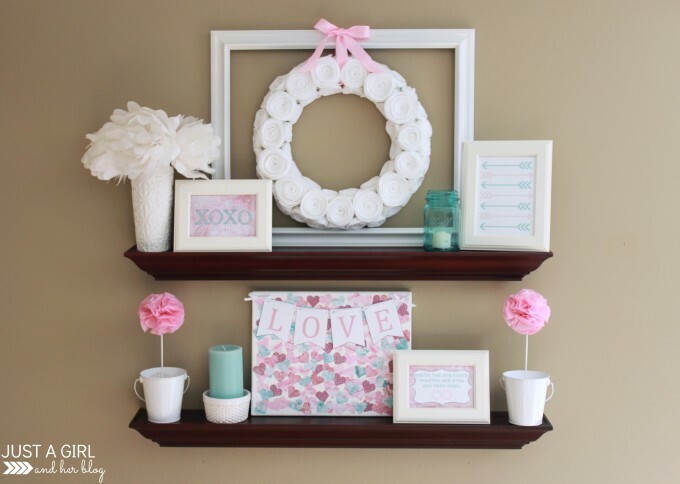 The best part is that she made this using parts of a wreath she had made at Christmas! Great repurposing! This simple pillow is a great way to use little scraps of pink and red fabric, isn't it? It is designed by Amy who blogs at Diary of a Quilter. These hearts are a pattern you can purchase designed by Lella Boutique. I love how the different fabrics really coordinate so well together....and I love seeing them hang with clothespins! 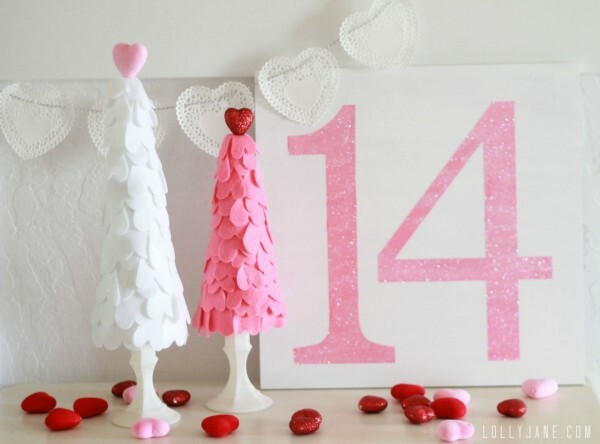 This heart paper garland is for sale at Folksy. Vintage book pages are so great to decorate with (and the hearts are actually made using a complete edition of vintage Shakespeare plays) and I think the idea of having the graduated hearts is really special. Isn't this display from House of Smiths fabulous? Nice and neutral with a few pops of pink! Kristi from Lolly Jane made these sweet trees from felt. A whole collection of these would be charming. The number 14 sign is great addition too!